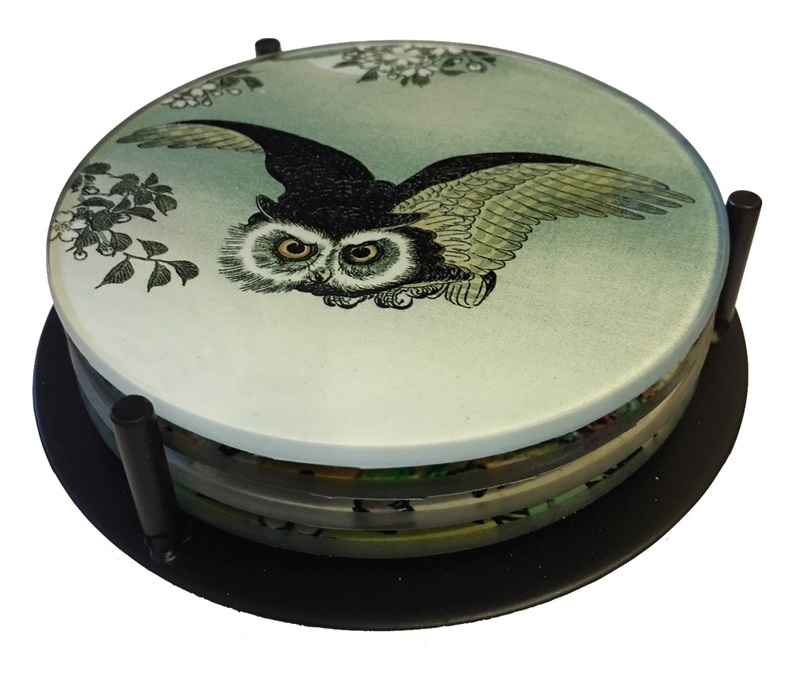 Decorate your coffee table with glass drink coasters featuring art masterpiece paintings of Owls. 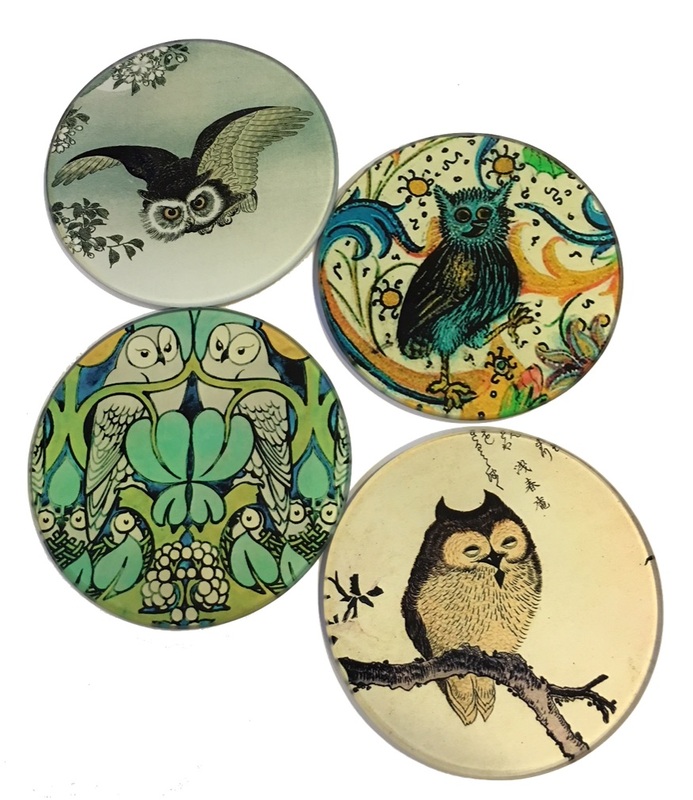 Each drink coaster shows a different owl from various art eras and time periods -- Ohara Koson, Le Livre de la Chasse, Charles F.A. Voysey and Owl on Magnolia. The colors are vibrant blues and browns and will add a pop of color to your table setting. 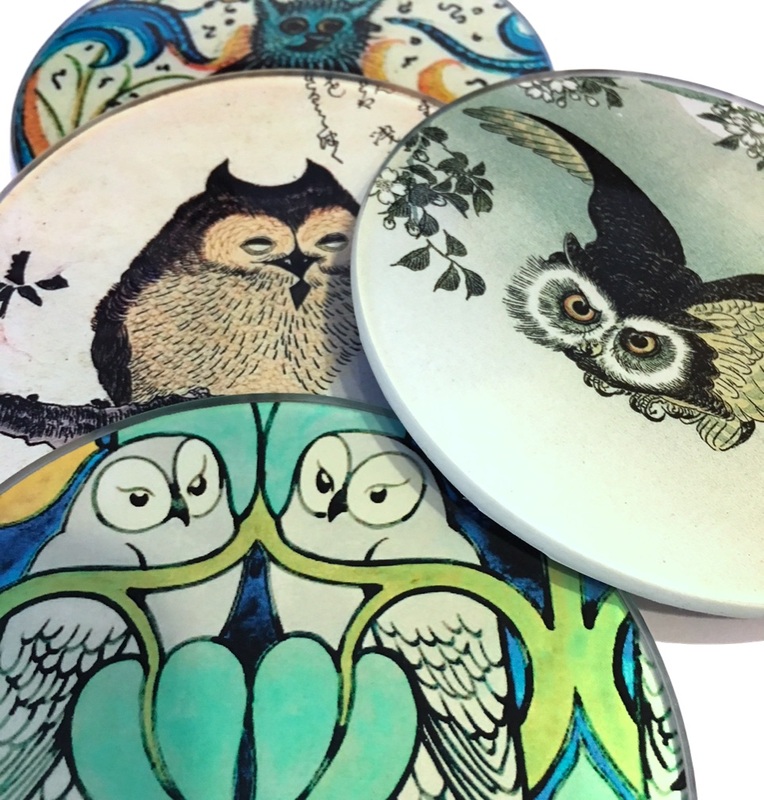 Owls have always had high symbolic value in every culture. The ancient Egyptians associated them with the realm of the dead, but in antiquity they also accompanied Athena the goddess of wisdom. In the Middle Ages the silent, night time hunters were viewed as heralds of impending doom. 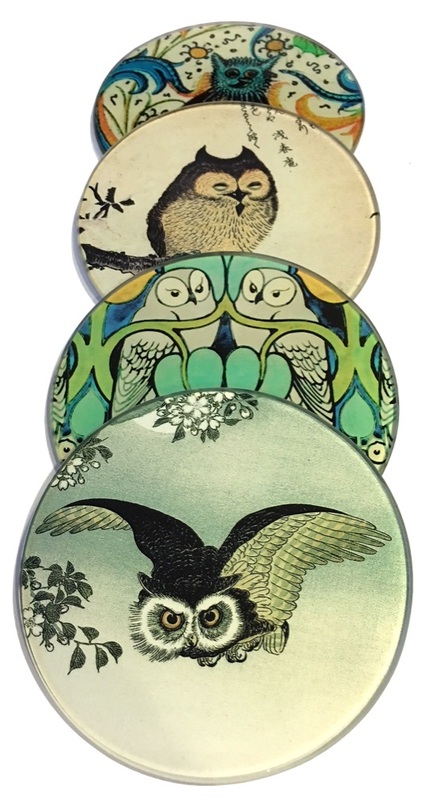 Conversely, in Japan owls have always been popular as protectors against evil and bringers of luck.